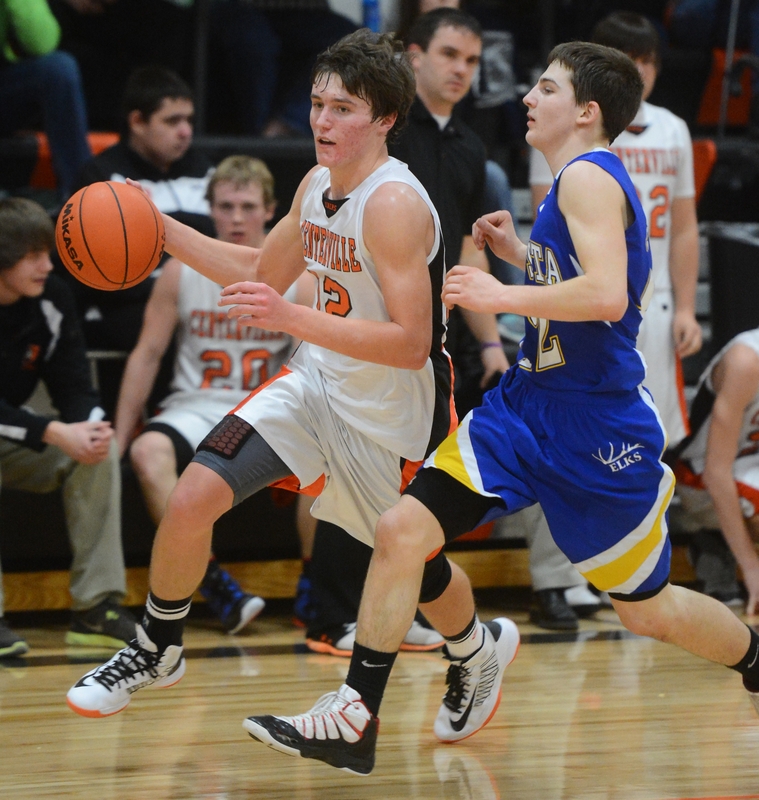 Centerville’s Deryk Pearsall handles the ball as Augusta’s Calvin Wearley defends on Friday night. Tuesday is our Prep Extra Day and we’ve got a full complement of stories for your perusal. You can find my A-B-C notebook here and Daniel Mediate’s Class AA notebook here. My column focuses on Centerville, the fifth-ranked Class C squad from just outside Great Falls. The Miners have a ton of speed and a full quiver of athletes at the ready. Star senior Deryk Pearsall runs the point even though he is 6-5 and said that defense is the key to Centerville’s success. Pearsall has taken recruiting visits to several Frontier Conference schools and wants to play in college next year. Pearsall’s size creates matchup problems for everybody, since most 6-5 guys in high school play post. Also, be certain to check out Dan’s blog entry as we look forward to Thursday’s crosstown swim meet.